Lily Morgan plays the clarinet in a school band. After losing her father Lily's forced to live with her mother. Lily's mother is a cruel woman who wants nothing more than to get rid of Lily as soon as she can. Lily can feel the emotions of people, her best friend Sandra calls Lily an empath. Lily has mastered the skill of putting up barriers inside her head so she can live a relatively normal life. Unfortunately something changes, after being knocked over by Malakai and hurting her head Lily seems to have lost the ability to keep her shields up. Malakai is the star wide receiver of the varsity team. He lives with his father, who runs a military household. When Malakai was ten years old his mother disappeared and he has never seen her again. Malakai's father is often away from home and Malakai has to make a lot of decisions on his own. Ever since he met Lily for the first time he can't stop thinking about her. Even though football players are not supposed to mingle with the members of the high school band Malakai chooses to go out with Lily anyway. Lily is a sweet teenage girl who never gets in trouble. She mostly keeps to herself and has a close friendship with Sandra and her family. Lily's mother treats her poorly and that broke my heart. I can't imagine what it must be like to live in a home where you're not wanted. It's awful for Lily to experience all the hatred her mother is directing towards her and I could practically feel her pain. Lily is wise though and I was glad that she did have a loving substitute family. Malakai is a popular and handsome young man. He is a very good athlete and I loved that he's proud when he gets a full scholarship. Even though Malakai belongs with the popular crowd he is never arrogant and he also doesn't look down on people. I liked that quality a lot. Malakai isn't afraid to stand up for what he believes in. He is direct and kind and I appreciated that about him. Both Lily and Malakai are being held back by their fears. They think they're so different, but in the end they both want the same, being with each other. I want my father to be alive, I want someone to love me, I want Malakai. I want my mother to be back, I want someone who cares for me, I want Lily. Crossing the Barrier is a powerful story about making your own choices. It shows you that it’s okay to be your own person, even if the people around you think otherwise. Martine Lewis has written a story that almost every teenager can relate to and I liked it from beginning to end. I absolutely loved the surprising finale, which reveals a well-kept secret. Crossing the Barrier is a great and intriguing story that I really enjoyed. I'm glad this fantastic book is part of a series and I can't wait to read more. 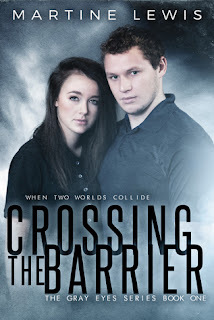 If you're from the US you can enter the Goodreads giveaway for a chance to win a paperback copy of Crossing the Barrier. The kindle version of Crossing the Barrier will be free on Amazon from September 1st until September 5th. Thank you for the review Anniek! Well, I love reading Teen & Young Adult and this review is so good. Makes me want to read it asap :) Thank you for posting. Great review, A! Thanks so much for joining the Crossing the Barrier review tour!! This sounds like the perfect YA read, and I love empaths! 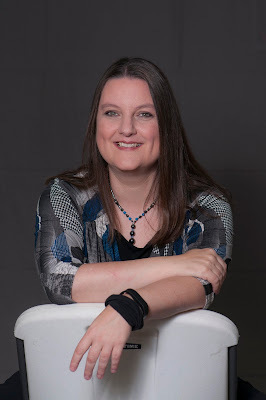 Thank you for the link to the free e-book and Goodreads giveaway! This sounds perfect for m y teenage niece. Wow, this sounds like a great story with some quality emotion evoked through the plot. I like it. I'm not sure what's worse a parent that doesn't want you or one that uses you. I like it when stories surprise you at the end.